Bede and Denise (A’okay & Nani Nature) combine their experience in leading educational programs for schools, science centers, and summer camps with their talent for teaching creative play. This is how they create the magic of “Circus Nature.” Circus Nature’s mission is to promote healing and teaching with cooperative play. 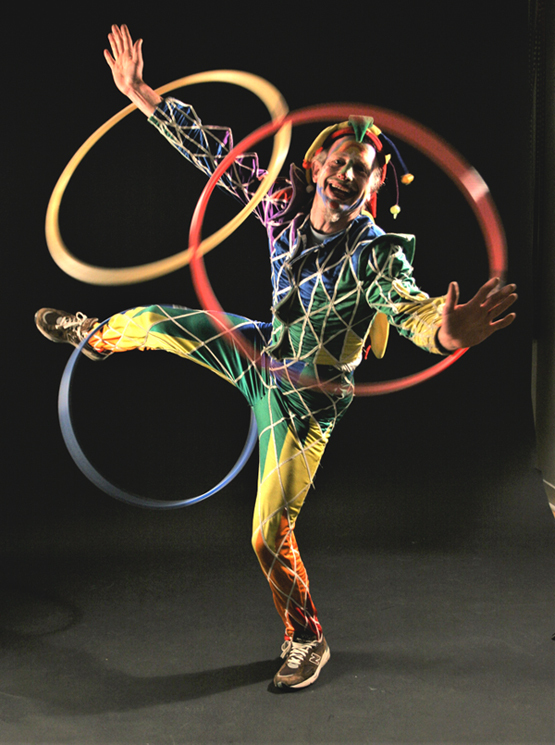 Andrew Sackman has been active in the Humboldt Circus community and with Humboldt Juggling Society in helping to co-coordinate past Humboldt Juggling Festivals. Andrew has a diverse array of talents, with some seriously sweet spinning skills. This dizzying one man show mixes juggling, flesh defying stunts, and grown-up slapstick delivered in an inimitable comedic style. Based in Phoenix, Arizona, Brent Fiasco travels the country entertaining and astounding. Chris Garcia, aka Draco Diabolo, is an SF Bay Area born juggler who initially started practicing juggling in high school under the guidance of Matt Hall. 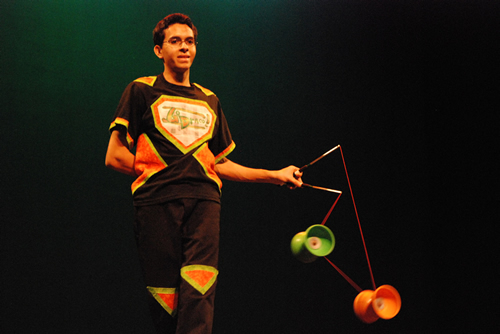 While he practices various forms of juggling, his favorite prop is the diabolo. 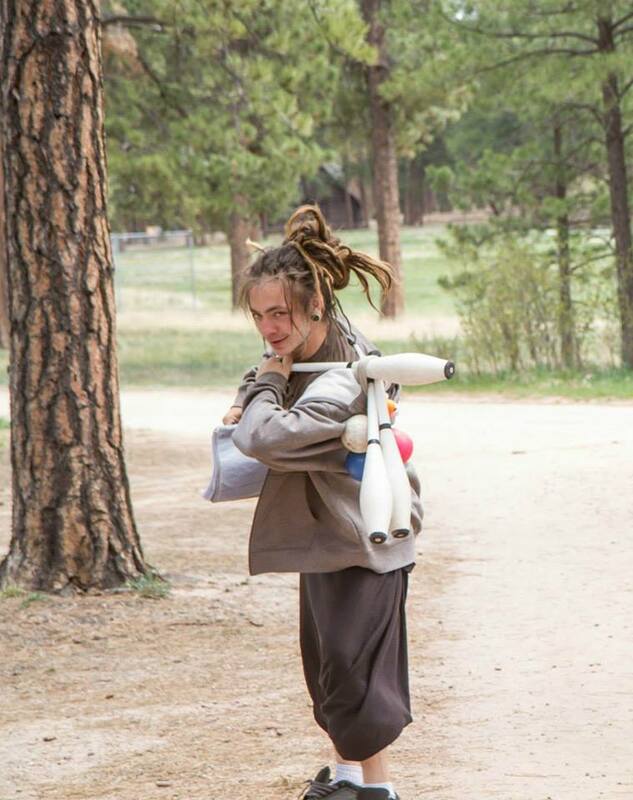 His love and dedication for juggling has lead him to teach workshops and perform at numerous juggling festivals on the west coast, even running the Santa Cruz JuggleFest when in college. He is delighted to be returning to Humboldt this year for yet another great festival. Thank you for supporting one of our kindest & most talented Artists! Chris Kelly is a 21-year old poi juggler from Eugene, Oregon. He manages his business, “Techris…Things On Strings,” and also is the head coordinator of "The Prop Gathering" in Oregon. HJF was his first juggling festival and was also where he first juggled 3-poi on stage. Circus of the Elements is a dance collective from Humboldt county that uses multi-dimensional performance styles with fire and light. 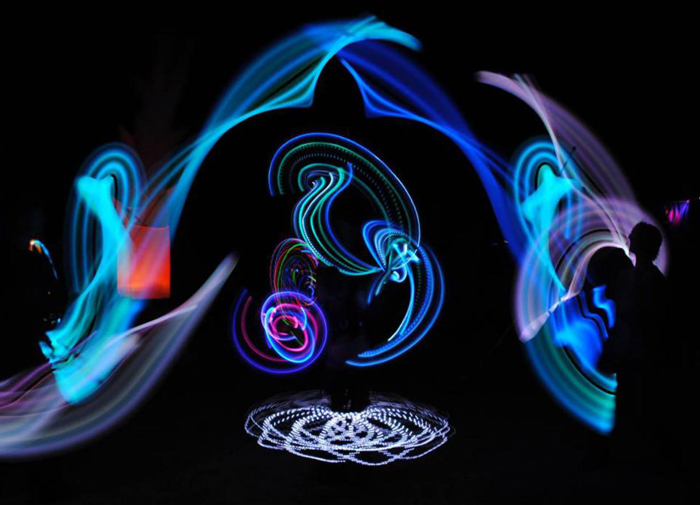 The dances include poi, staff, hula hoops, fans, boogangs, wings, and other creative tools. We foster the integration of arts and community through education and dance. Circus of the Elements participates in local fundraising and community awareness projects for groups like Trinidad Art Nights, Arts Arcata, Benbow Music and Arts Festival, Fairy Festival, and much more. They are committed to continually helping and performing in their community! Circus of the Elements supports the arts community and performs at Trinidad Art Nights every first Friday from May-October.Circus of the Elements is a Dream Maker Project of the Ink People,check us out on social media, like Facebook or Instagram. juggling, and comedy in a glow-in-the-dark wonderland of infinite imagination. Circus Luminescence's show is full of hilarity, epic combo tricks, acrobatics, juggling and a sense of play! Lance and Brian are from Portland Oregon. Lance’s Primary prop is Poi and Brian’s is Flower Stick’s. Brian taught Lance a bunch about prop manipulation when they first met and now they have been juggling together for over 5 years. Curtis Carlyle was born in 1980 in a lighthouse in Rhode Island. His father was a United States Coast Guard engineer and his mother was a championship rodeo horsewoman. Although he didn’t realize it at the time, his uncommon family instilled in Curtis a sense of possibility and discipline; a belief that anything can be mastered with practice; a recognition of the importance of joy in work. However, as a natural redhead, Curt’s path was altered by his delicate complexion and coke-bottle glasses. Throughout his early years, Curt learned to survive the schoolyard with a quick wit and charming personality. These traits were a constant as his family moved across the country, as his father was transferred from port to port. As he grew older, Curt discovered the Tonight Show with Johnny Carson and was immediately taken by the TV personality’s presence and kindness on the program. Curt’s journey as variety artist took off when the Coast Guard transferred his father’s post to Portland, Oregon – home of the Reed College juggling club. Under the tutelage of juggling greats Rhys Thomas, David Lichtenstein, and Charlie Brown, Curt quickly learned the performance trade and began shaping his infectious personality for the stage. While his early shows took place in coffee shops and street corners along the Pacific Northwest, his resume now includes performances for a dozen Fortune 500 companies, the Kennedy Center in Washington DC, the New Victory Theatre on Broadway in New York City, as well as colleges and universities across North America. Curtis also holds a Guinness world record for the yoyo, has won a bronze medal at the International Jugglers’ Association stage championships, and has shared the stage with entertainment titans like the Beastie Boys, Peter Sagal, and Second City Improv – just to name a few. Curt’s new school comedy juggling performances range from five to ninety-five minutes long, and highlight Curt’s mastery of balance, timing, and peculiar combination tricks. He is also recognized as a talented emcee and comedy writer, and often consults with variety acts across the planet. When he’s not traveling with his show, Curt lives in Portland, Oregon with two acrobats and a grey cat named Houdini. He believes that life is about sharing experiences with others, that the world can be a better place through laughter, and that nothing beats warm socks fresh out of the dryer on a rainy day. A pinch of slapstick, a dash of juggling, and two scoops of comedy is a recipe fit for the dynamic duo, Dubelevay! Specializing in the art of imagination, Raygun and Sirk pull amazing ideas from their box of tricks, leaving the on-lookers in wonder, question, and awe. Holly Johnston or "HollyBlar" has always had a passion for all types of performance art and loves to bring together unique blends of character and skill in her acts. She has been juggling since the age of 14, when she caught the highly contagious "juggle bug," an affliction for which her family was known to have a particular genetic weakness. A former organizer of the festival, Holly is thrilled to return to the HJF stage and as always would like to give a shout out to all current and former Humboldt Circus monkeys! A huge thanks in particular to the present day HJF organizers who work so hard to keep this festival going and thriving year after year. Expert juggler and fire performer. Kevin is known worldwide as a dynamic entertainer. With sharp juggling knives, and sharper wit, he blends comedy, juggling, circus, magic, and fire, along with upbeat energy and a positive message. The result is unique, inspiring, and memorable. Co-founder of Club Motion Juggling, Kevin is proud to announce the new online instructional project The Ency-Club-Pedia, now available online. Created with HJF Circus Alumni, The Johnston Brothers. 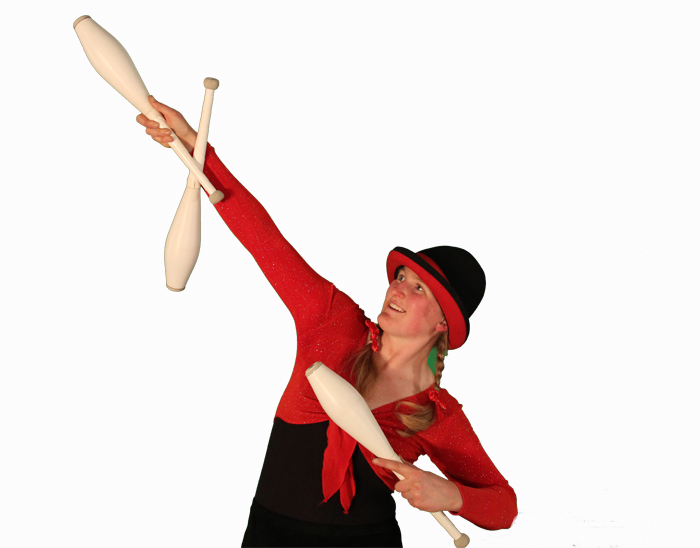 2x Winner of The Humboldt Juggling Festival’s Judy Finneli Award. As director of The Firewalking Center, he is an accomplished motivational speaker and fire-walking instructor as well. In 2011, he became a partner in the Flow Arts Institute, the nation’s leading Flow Arts festival producers. They have now grown to 7 annual flow arts and juggling events all over the country. Kevin was recently promoted to General Manager of the country’s longest running fire and Flow Arts Festival, Fire Drums. Happening May 3th - June 2nd, 2019. He hopes to see lots of friendly HJF faces in this year’s Fire Circle.